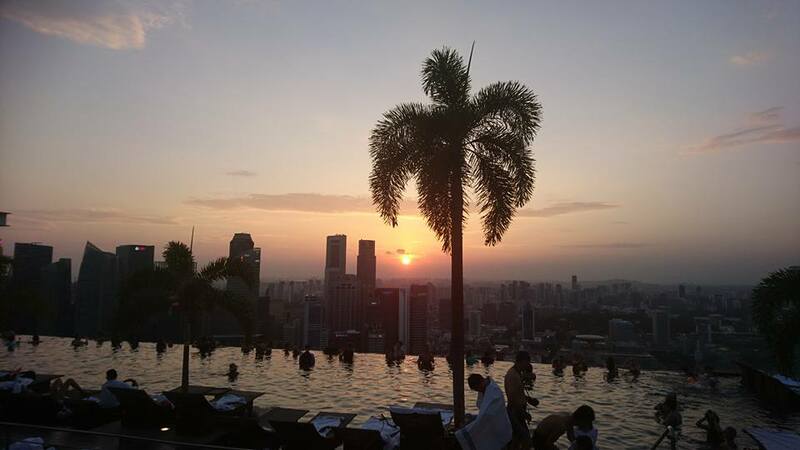 Long-term warming is in sight for Singapore, according to the Meteorological Service Singapore (MSS). If you’ve noticed lately that it’s been warmer than it used to be, your senses are correct. Temperatures last year were high, especially in December 2018, which was the second hottest year end Singapore has ever experienced. All in all, 2018 was the eight warmest year the city-state has ever had, according to the MSS. On Tuesday, January 15, the MSS revealed its findings on Singapore’s weather and climate in 2018. It reported that temperatures in 2018 were consistently above average, with a mean annual temperature of 27.9 degrees C, 0.2 degrees C warmer than 2017’s mean annual temperature of 27.7 degrees C.
The MSS took note of one month in particular – December 2018. The last month of last year had a monthly mean temperature of 27.6 degrees C, which is 0.1 deg C below the hottest December ever recorded in Singapore, which was in 2015 (measuring 27.7 degrees C). Comparing the first and second half of last December showed that the latter was notably warmer, the MSS said. In fact, on December 28 and 30, the Changi climate station recorded a daily maximum temperature of 33.8 degrees C, tying for first place in the hottest day in December awards with a previous record set on December 2, 1948. Interesting fact: Singapore started recording its temperature in 1929. MSS pointed out a worrying trend: it’s getting hotter and hotter up in here. Singapore’s top 10 warmest years have all happened in the past quarter of a century, and eight of them have occurred since the year 2000. Also, the last 10 years (from 2009 to 2018) officially mark the warmest decade Singapore has ever felt, with a high mean temperature of 27.89 degrees C. The previous title holder in the warmest decade category was the year 1997 to 2006, with a mean temperature of 27.87 degrees C.
The MSS said we should take note of these signs as the beginning of long-term trend of warming in Singapore. Besides rising overall temperatures, Singapore has also been experiencing very temperamental weather. Last year, there was monsoon surge from January 10 to 14, which brought five consecutive days of unexpectedly cool weather to the nation-state. The lowest temperatures recorded during those five days measured at 21.2 degrees C and occurred on January 14. Those five days marked the longest consecutive “cool spell” that Singapore has experienced in over 20 years. According to MSS, El Niño, which brings with it hot, dry weather, had “no significant influence on Singapore’s climate” in 2018, though weaker La Niña conditions prevailed in the first three months. Singapore experienced fluctuations in local temperatures, bringing torrential rain, hailstorms and strong winds to the island in the first half on 2018. The northern part of Singapore experienced hailstones and thunderstorms on January 30, 2018. The very next day, a waterspout – a rotating column of wind carried about by intense storms happening over the ocean – developed off the east coast of Singapore. The winds were so strong that gusts from the waterspout pushed sail boats on the beach a few metres further inland. 2018 also brought with it flash floods, fallen trees and property damage, thanks to strong winds and intense thunderstorms. March 30, 2018, was a notable date, when extra strong wind gusts from thunderstorms damaged chicken farms in Lim Chu Kang. Not far away, at Tengah station, the strongest wind gust ever recorded since 2010 made an appearance, traveling at 133.3kmh.